Passionate about history, Napoleon III wished to ennoble a science that was then only at its beginnings: archaeology. From the 1860s, he ordered the Alésia and Gergovie excavations, looking for Julius Caesar’s marks in Gaul. In 1855 the British Queen Victoria, during her visit to the Paris World Fair, visited the Saint-Germain Castle, where exiled King Stuart and his court had resided. She admired the panorama from the terrace and continued towards the Pavillon de la Muette with her suite. This visit generated a new impulsion: in 1861 the castle was chosen to host the museum of “Celtic and Gallo-Roman antiquities”. 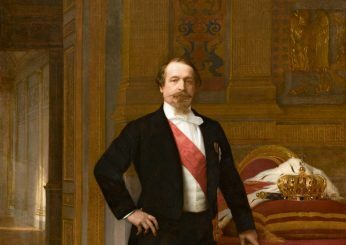 Napoleon III’s passion for archaeology was at the heart of the Emperor’s interest for the city. During a meeting between city representatives and the Emperor, he noticed that “the existence of a military prison in Louis XIV’s antique castle is a profanation… The prison will be moved far away from Saint-Germain while this castle, a reminder of great and noble memories, will be repaired…I have given orders for this”. A restructuration of the building was necessary to adapt it for its new museum goal; works took place from 1862 to 1907. Napoleon III visited the Saint-Germain castle probably eight times, practically each year between 1863 and 1869. 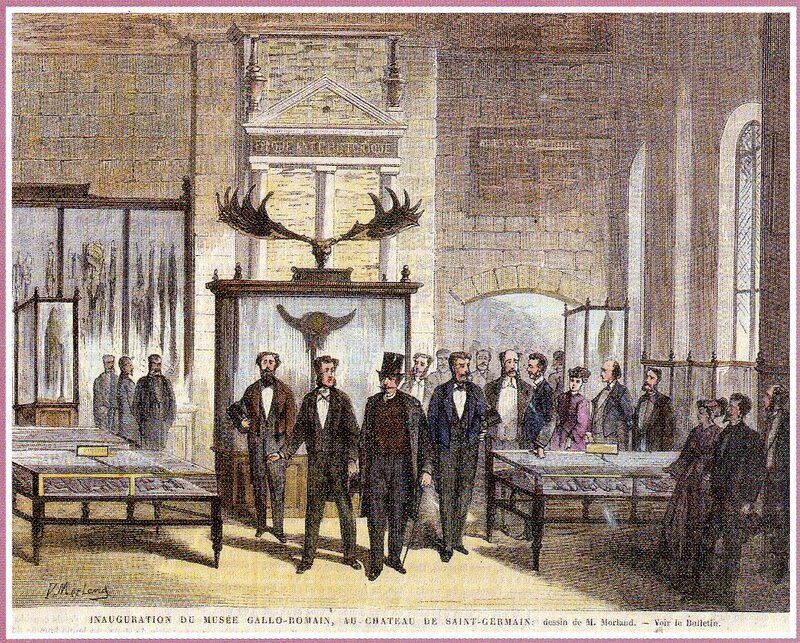 On Sunday, May 12th, 1867, Napoleon II held the inauguration of the museum first seven rooms. The first exhibits were from the emperor’s private collection- some 5 500 objects-, from major discoveries in the 1860s (Alésia, Gergovie, Cro Magnon) and the donation of Boucher de Perthes, one of the founders of prehistoric archaeology. From its beginning, the museum had a “comparison room” or five continents room planned so as to place vestiges from the national territory in an international context. The Danish King Frederic VII’s important donation marked the beginning of the famous “compared archaeology” collection. 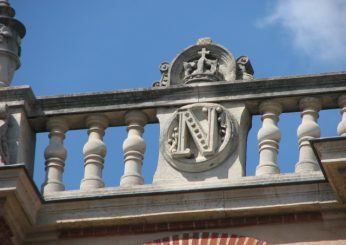 In 1879 it became the “National Antiquities Museum”, housing collections from Prehistory to the early Middle Ages. Opening hours: Open every day except on tuesday From 10 am to 5 pm.